The son of poet Miroslaw Żuławski, Andrzej Żuławski was born in 1940. During his childhood, he followed the travels of his father, who lead him to France, Czechoslovakia and Poland. After getting a degree in filmmaking from the IDHEC in Paris, during which he wrote a thesis on Andrzej Wadja, he moved back to Poland to become Wajda’s assistant, while taking philosophy classes as well. After two praised TV movies in 1974, he directed the haunting The third part of the night four years later. 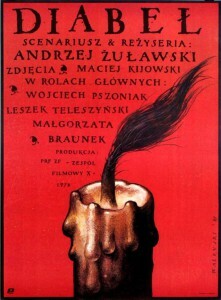 The following year, The Devil is forbidden by censorship, which motivates the filmmaker to moves to France. 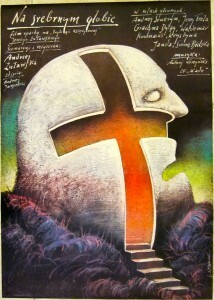 In 1974, the success of The most important thing: love enables him to come back to Poland to shoot The silver globe. But once again, the script is too controversial for the Polish government, which stops the shooting nine days before completion. Back in France, he will first direct Possession, his most memorable film even though it got a mixed reception during its original release. 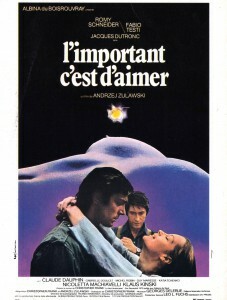 After two films inspired by Dostoyevsky, The public woman and Mad love, he completes The silver globe, before directing a handful of films (including the memorable Chamanka - She-Shaman) before ending his film career in 2000 with Fidelity (based upon The princess of Cleves) to write novels. He will get back to filmmaking in 2015 with Cosmos, based upon Witold Gombrowicz’s eponymous novel. He died shortly after, at the age of 75. He leaves behind him one of the most passionately crazy and free bodies of work in the history of film, to which the festival ought to give a last tribute.